mortality rate, that to be a serious harm to human health. and cellular immunity and humoral immunity. inhibition of the virus on a large . ± 19.56) decreased with significantly difference (P < 0.
prolong survival time (P < 0.01). targets and to achieve better antiviral. inhibite virus replication in cells . move the virus which have penetrated cells . from in 0.72 g/kg doese of JinbeiqingfeiKeLi. moment of infection than after that. the dregs”, to make of the new formulation for clinical. 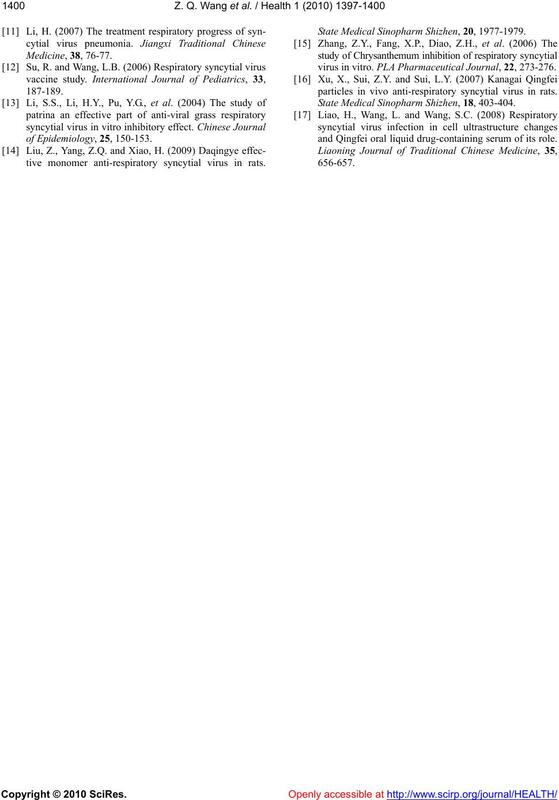 and Materia Medica Research, 10, 167.
research traditional Chinese medicine Notopterygium. 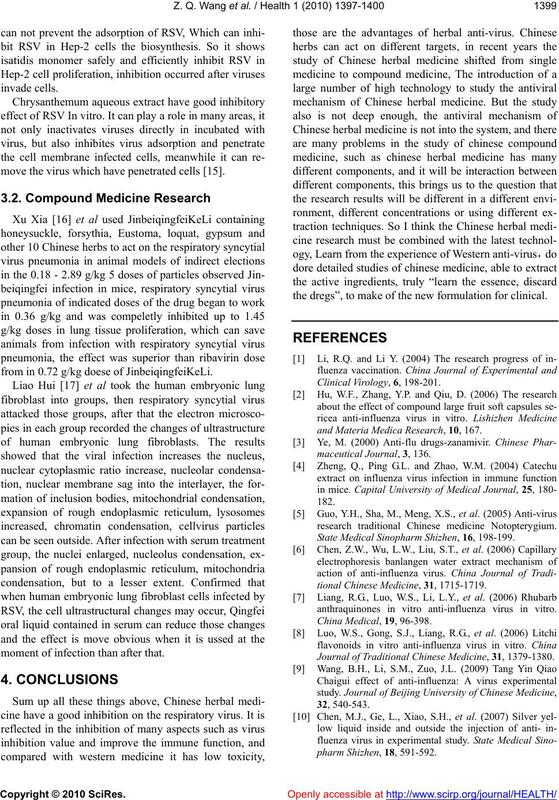 State Medical Sinopharm Shizhen, 16, 198-199.
tional Chinese Medicine, 31, 1715-1719.
anthraquinones in vitro anti-influenza virus in vitro. 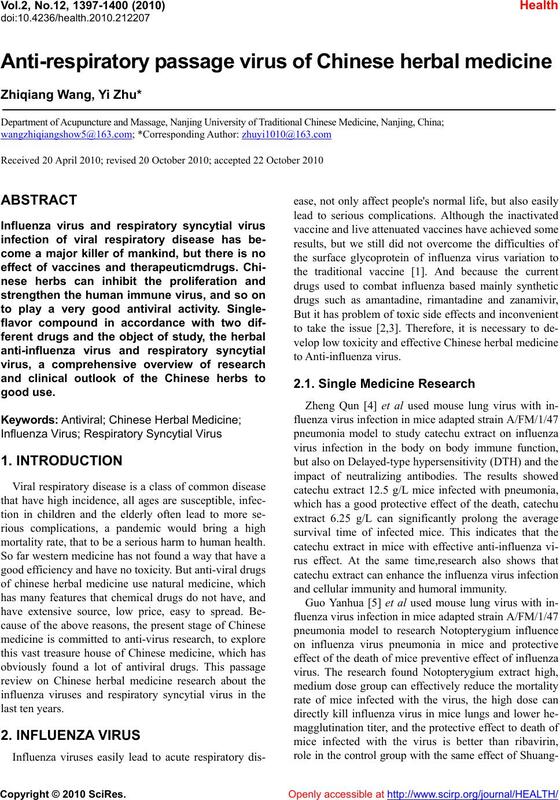 Journal of Traditional Chinese Medicine, 31, 1379-1380.
tive monomer anti-respiratory syncytial virus in rats. State Medical Sinopharm Shizhen, 20, 1977-1979.
virus in vitro. 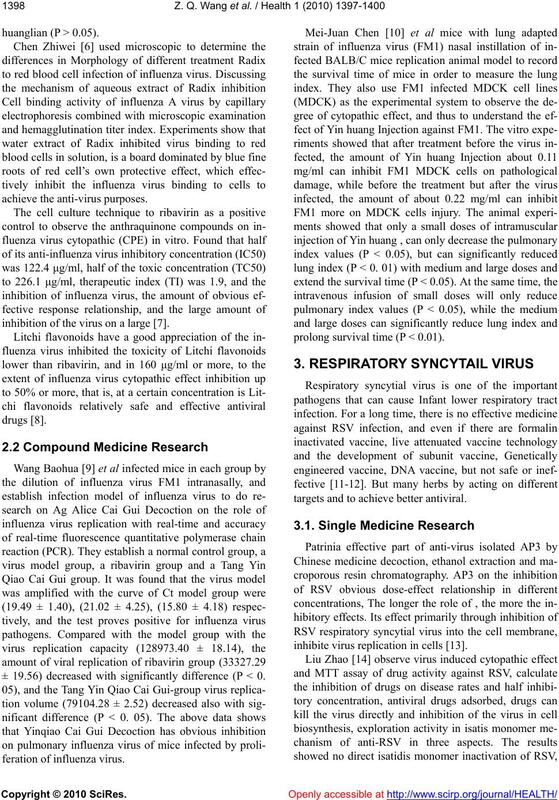 PLA Pharmaceutical Journal, 22, 273-276.
particles in vivo anti-respiratory syncytial virus in rats. State Medical Sinopharm Shizhen, 18, 403-404.
and Qingfei oral liquid drug-containing serum of its role.